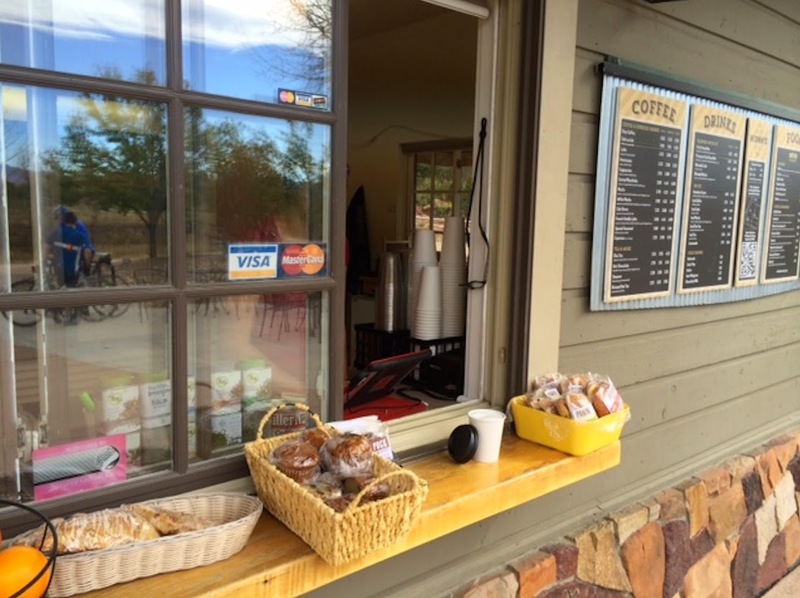 Chasing Mailboxes 7-week 7-coffee shop 2014 Coffeeneuring Challenge continues. 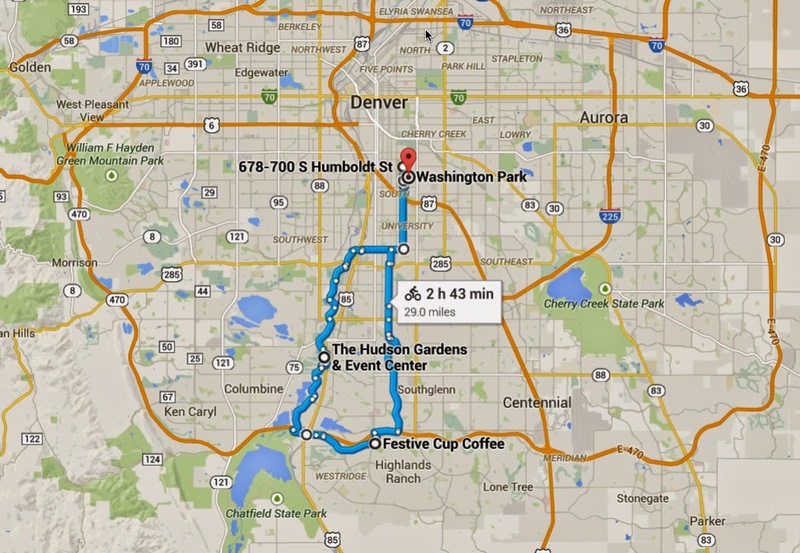 I would bet that every road cyclist in Denver has stopped in at the tiny refreshment hut called Nixons at Hudson Gardens. 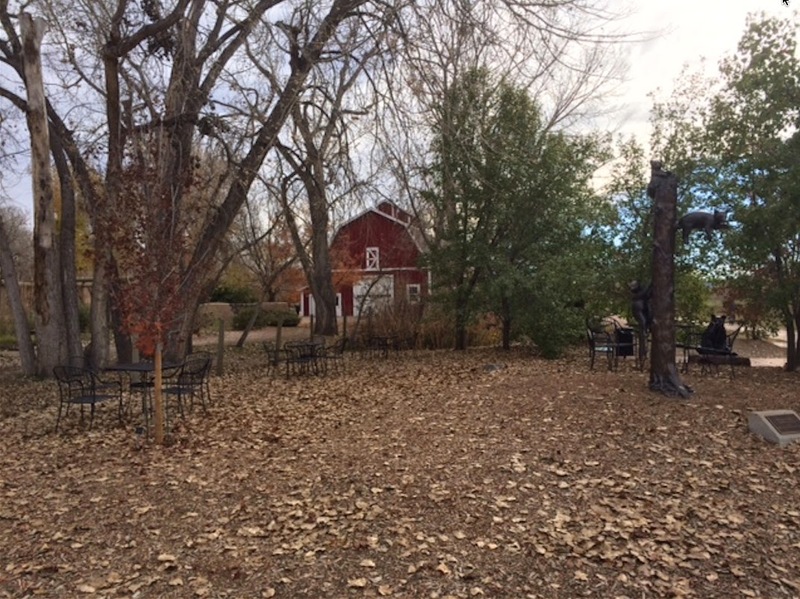 Hudson Gardens sits right on the Platte River bike path. Try as I might to avoid bike paths, I am not alone is using this path to quickly get south out of town. On summer weekends the place is packed with cyclists. In early spring or late fall, less so; today was very quiet. 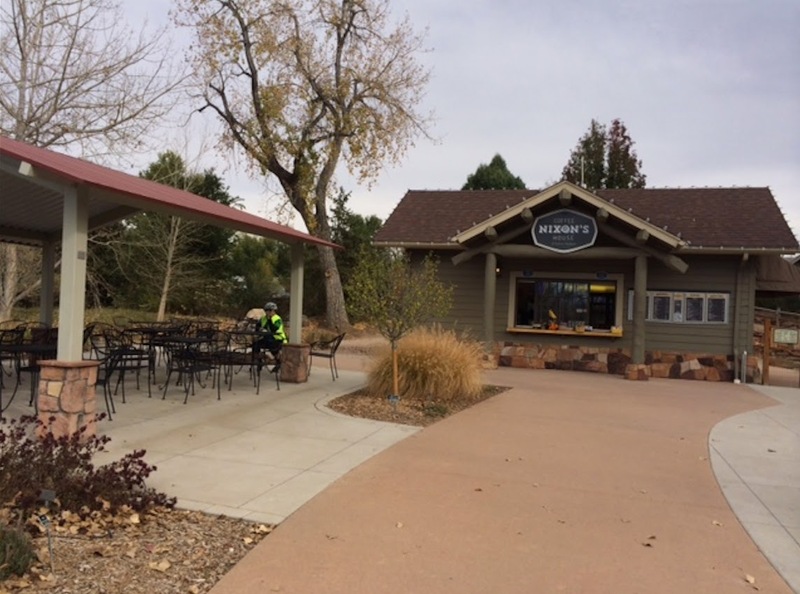 The Hudson Garden rest stop was fixed up a couple of years ago and now offers fine tables, shade, restrooms, water fountain, bike pump and tool station and a snack shop. Today I ordered a cappuccino. I sat and enjoyed my coffee with my friend Julie, whom I met out riding. I am on Coffeeneuring Adventure #6 and have been trying to visit a different neighborhood and order a different kind of coffee drink at each challenge. Hard to believe I only have one more challenge to go, which is good timing because I am trying to avoid the chocolate mochas or pumpkin Lattes. It seems my New Year's Resolution to loose some weight has hit me early. So far I have enjoyed an Americano (my standard favorite), a boiled coffee, drip coffee, iced coffee, cafe latte, and a cappuccino. I hope I find something different next week. My journey into new neighborhoods has been a great experience. Today after meeting up with friends, I said no thank you to taking the same bike path back home, intead I continued south toward Chatfield Park and then east connecting to Clarkson Street. Clarkson is a fantastic road for cycling. Quiet, pretty and rolling - it's just plain great. I had never used the southern part of the road before and was happy to discover that it is a much better alternative to the bike path (except I would miss Hudson Gardens). I'm not crazy about bike paths, mostly because they are truly mixed-use paths with small children, dogs on leashes, skaters, and couples walking side by side. Kind of a crazy environment for a road cyclist. Plus bike paths are graded so that a rider's challenge stays too steady between -3 to +3 degrees in grade. I rarely get my heart rate up. I prefer to use my gears and vary my speed. I like rollers and small climbs and I don't like only looking at the shoulder/saddle of the rider in front of me. I am happiest when I am on a real road. The trick, these days, is finding safe roads. Today I found new safe roads in the city and had a good cup of coffee. I could easily extend this ride southwest into Chatfield Reservoir (doing hill repeats on the road up to the dam), or continue up Deer Creek Rd. Or I could link this route east to Cherry Creek Reservoir using East Quincy Ave (another nice inner city road to ride on a bike) . Nixons' friendly sign on the bike path at Hudson Gardens welcomes cyclists. 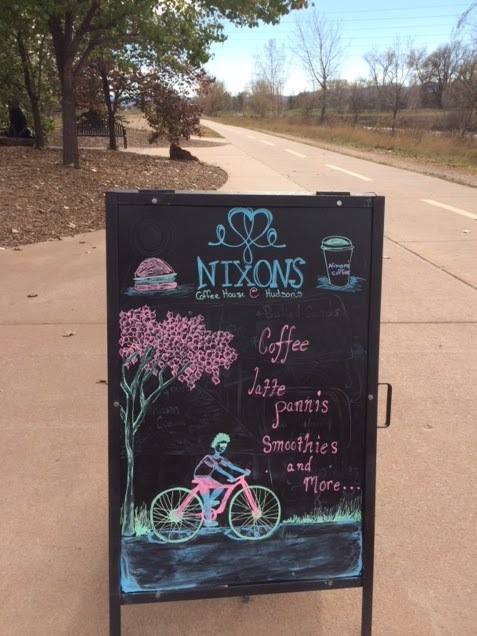 Nixons on the Platte River bike path in Littleton. Bike-in only, no cars. The one of a kind rest stop in the Denver area. this area is usually filled with cyclists resting under shade trees. I think I am going continue this challenge as long as winter allows.